mikenova shared this story from National Security : NPR. 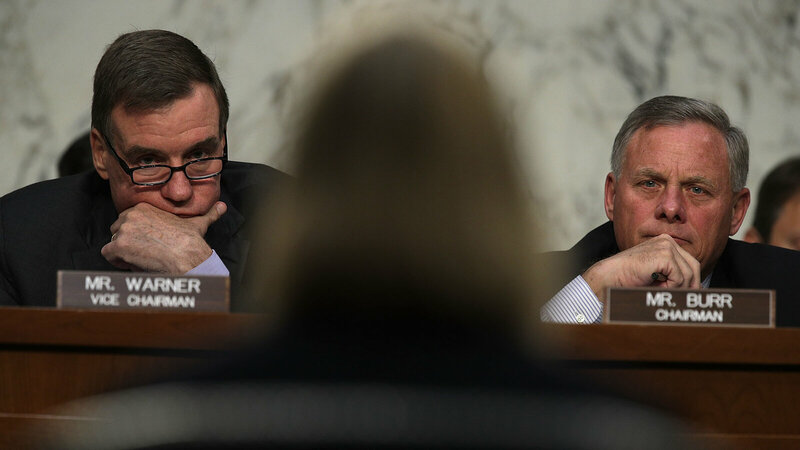 Chairman Sen. Richard Burr, R-N.C, (right) and Vice Chairman Sen. Mark Warner, D-Va., listen during a hearing before the Senate Intelligence Committee on June 21 on Capitol Hill. 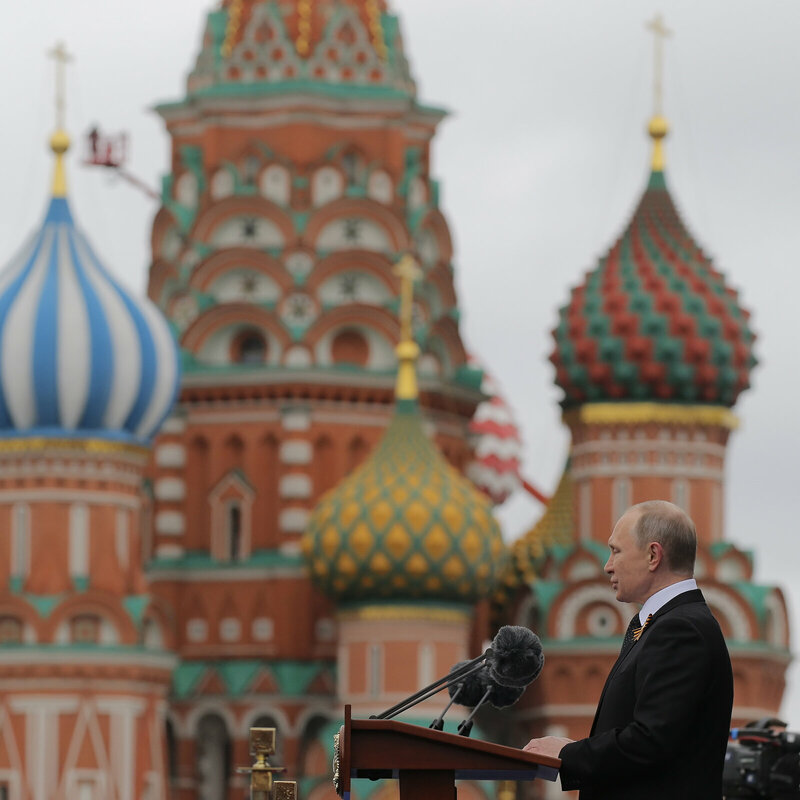 Last week in the Russia investigations: Washington gears up for the leaders of the Senate Intelligence Committee, Twitter gets its turn in the barrel and states learn at last about the extent of last year’s attack. Sens. Richard Burr, R-N.C., and Mark Warner, D-Va., haven’t convened a public hearing of their committee for months — and that was to confirm nominees for intelligence agency jobs — so this will be the first chance in awhile to hear at length from both leaders together. Warner makes a lot of appearances on TV and in the press; Burr much less so. Look for the two leaders to give the latest about their conversations with Facebook and Twitter. 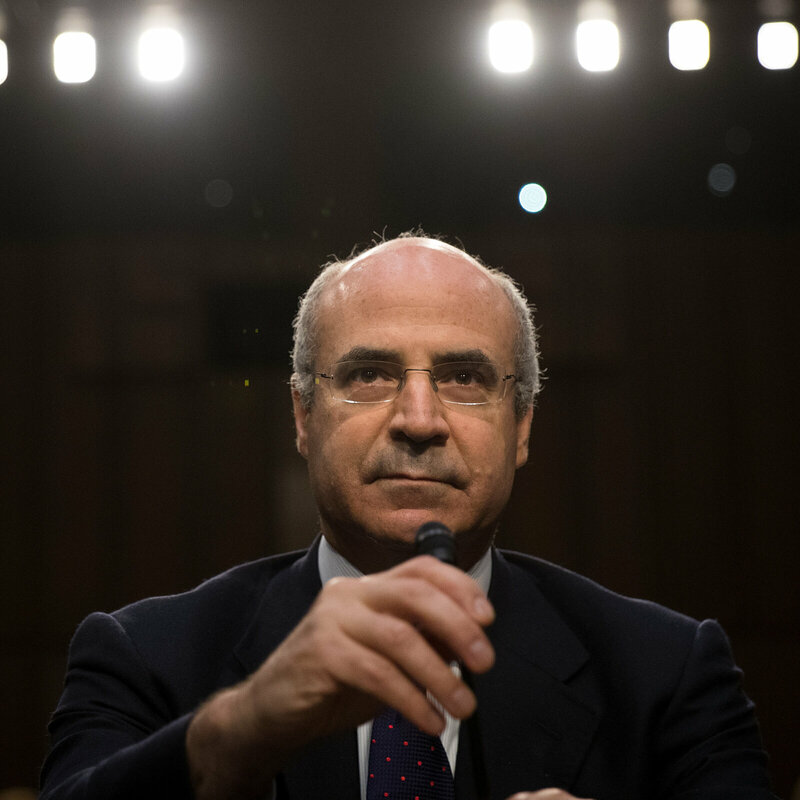 The two lawmakers have been frustrated by the lack of disclosure from the social media platforms about the way they were used by Russian influence-mongers to interfere with last year’s presidential election. The Senate committee and its House counterpart both plan to convene hearings next month with the social platforms. 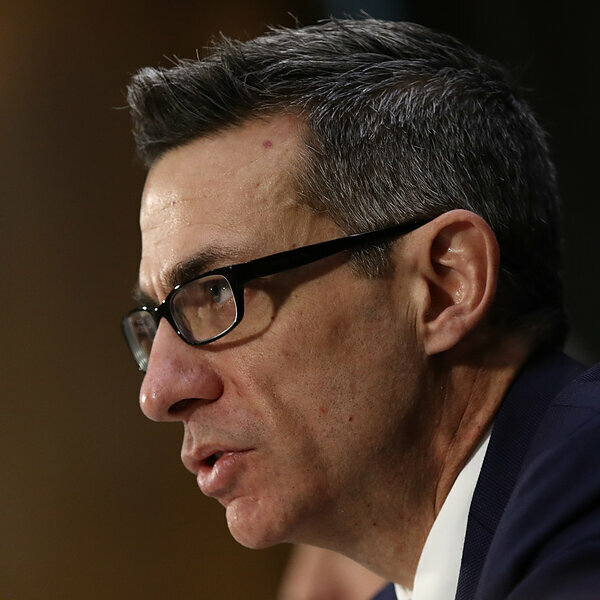 Warner, the Intelligence Committee’s vice chairman, was not happy last week with what he heard from Twitter. Representatives for the microblogging service — which is much smaller than Facebook by every measure but still highly visible in key places — went to Capitol Hill to talk about what they’ve found so far. And, per Warner, it wasn’t good enough. 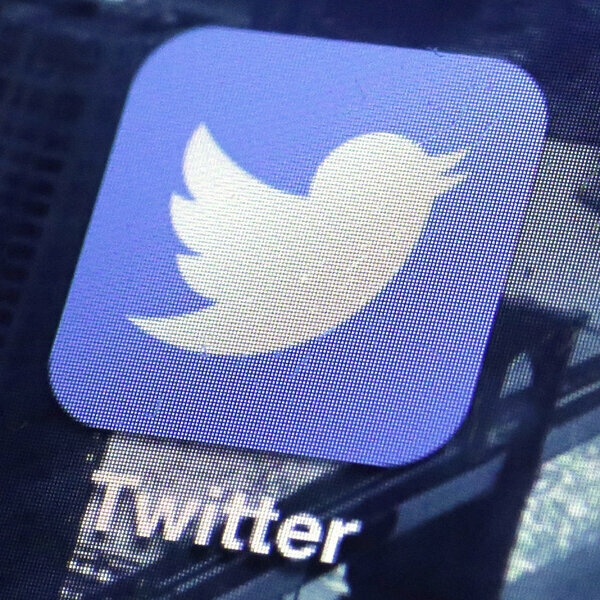 The use of Twitter as a medium for influence operations hasn’t become a historical question. It continues in real-time even as members of Congress and Justice Department special counsel Robert Mueller try to piece together what happened in the election last year. Russia Continues To Use Social Media To Influence Public Opinion In The U.S.
On Wednesday, Sen. James Lankford, R-Okla., invoked the ongoing national debate over free speech and protesting in the NFL, where some players have been taking a knee during the national anthem to call attention to what they call police brutality against blacks. That protest has brought about a strong reaction of its own from President Trump and conservatives, who call it disrespectful. And as Lankford pointed out, influence-mongers are using Twitter to turn up the volume as much as they can. “We watched, even this weekend, the Russians and their troll farms, their Internet folks, start hashtagging out ‘take a knee’ and also hashtagging out ‘boycott the NFL,’ ” Lankford said. “They were taking both sides of the argument this past weekend and pushing them out from their troll farms as much as they could to just raise the noise level in America and make a big issue seem like an even bigger issue as they’re trying to push divisiveness in the country,” he said. At the same time the use of fake accounts on Facebook to exacerbate division goes beyond the U.S. — there have been plenty of examples from the recent German election. More on that here from NPR. 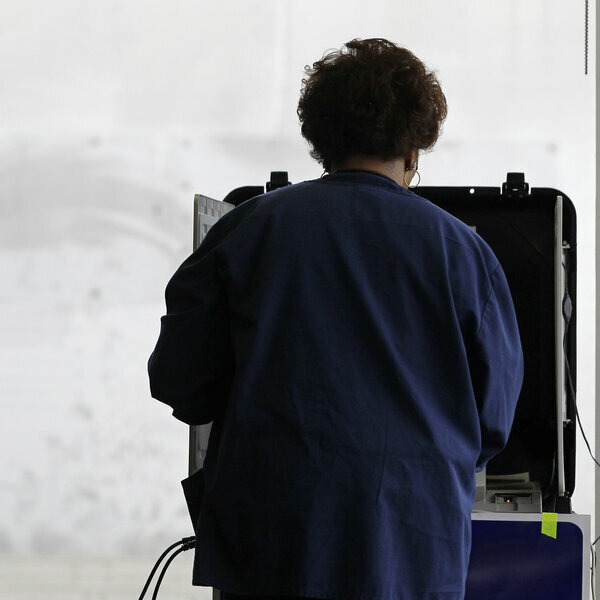 They only waited 10 months after Election Day, but federal authorities finally contacted state officials to tell them more about systems targeted last year by Russian cyberattackers, NPR’s Pam Fessler reports. The Department of Homeland Security had talked to those with “ownership” of targeted systems, as Pam writes — in some cases, private vendors or local election offices. But not the secretaries of state or other state-level officials whose jurisdiction included the cyberattacks. 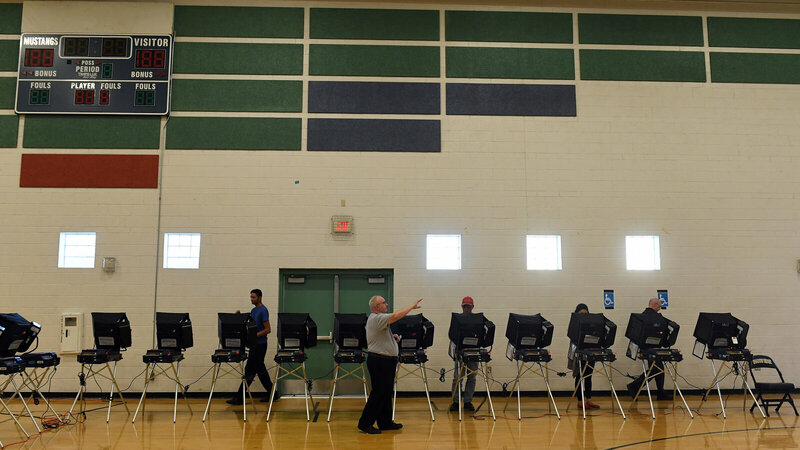 Voters cast their ballots at Shadow Ridge High School last November in Las Vegas. Meaning what? 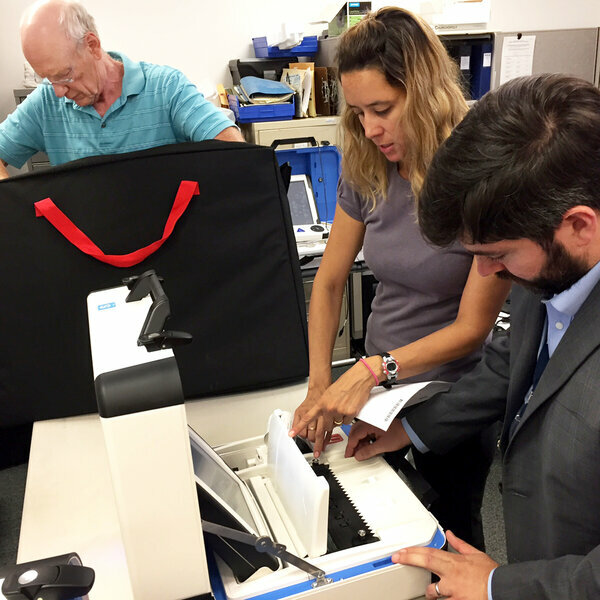 Federal and state officials are concluding there may be no way for them to completely trust all-electronic voting systems, such as touchscreen machines that don’t leave a paper trail. 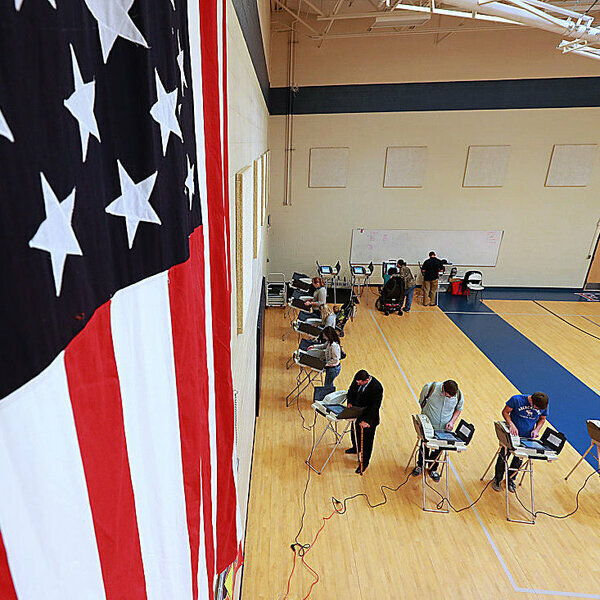 Although officials say no votes were changed by cyberattacks in 2016, that doesn’t mean changing votes isn’t technically possible, which is what states and the Department of Homeland Security want to try to prevent. Meaning what? Spicer got into a kerfuffle with Axios’ well-known correspondent Mike Allen, who’d asked him about all those notes he was (in)famous for taking while in the administration. Allen asked Spicer about all that paper he kept. Had he been pulled into the Mueller mix? Spicer, whom Allen has known for years, threatened to “contact the appropriate legal authorities to address your harassment.” So, yeah, Spicer and his notes might be in the mix here. 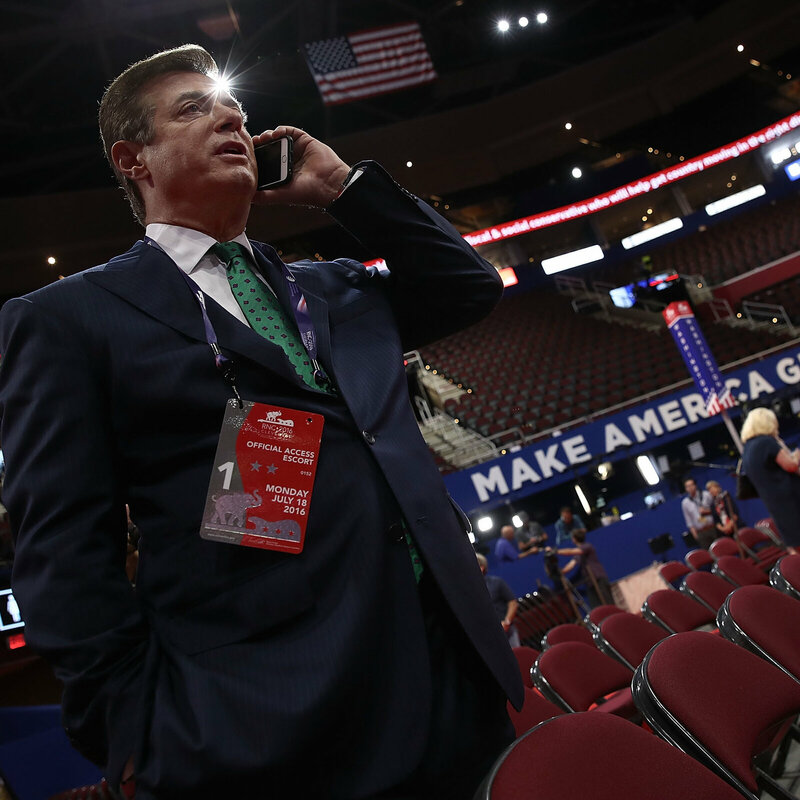 Longtime Trump ally Roger Stone told reporters this week that his attorneys have heard from attorneys for former Trump campaign chairman Paul Manafort that they’ve been warned Manafort will be indicted. 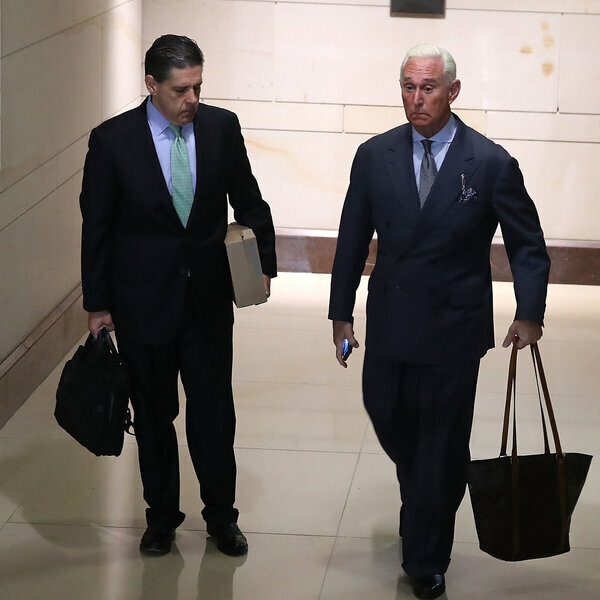 But Stone said he hasn’t heard from special counsel Mueller. mikenova shared this story from Yahoo Finance. West Wing staffers were concerned that White House counsel Don McGahn would quit earlier this summer because of his frustration over meetings between President Donald Trump and his senior and adviser and son-in-law, Jared Kushner, The Wall Street Journal reported on Friday. Special counsel Robert Mueller’s ongoing investigation into Russian interference in the 2016 election is focusing on both Trump and Kushner, and whether the Trump campaign colluded with Moscow to tilt the election in his favor. Kushner invited scrutiny after he met with two Russian officials — Russia’s former ambassador to the US, Sergey Kislyak, and the head of a sanctioned Russian bank, Sergey Gorkov — during the transition period. 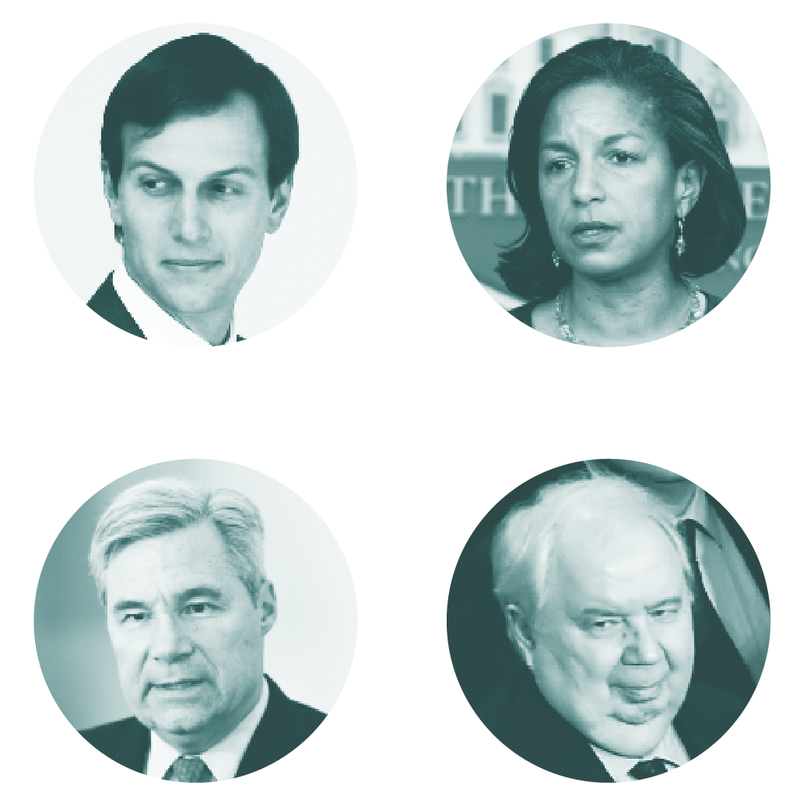 Kushner was also present during a June 2016 meeting at Trump Tower between top members of the Trump campaign and several Russians, including a lawyer with ties to the Kremlin who had offered compromising information on Democratic nominee Hillary Clinton. Mueller’s focus on Trump appears to center primarily around his decision to fire former FBI director James Comey in May and his motivations for doing so. The White House initially said Comey had been dismissed because of his handling of the Clinton email investigation, but Trump later told NBC’s Lester Holt that “this Russia thing” was a factor in his decision. Given their proximity to the Russia probe, McGahn was reportedly concerned that the frequency with which Trump and Kushner met could be seen as an attempt to coordinate their stories, three officials familiar with the matter told The Journal. The White House counsel was so frustrated that then chief of staff Reince Priebus and then chief strategist Steve Bannon had to urge McGahn not to resign. He ultimately decided to stay after learning that Trump had hired a legal team, headed by white-collar defense attorney Ty Cobb, tasked with handling the White House’s response to Mueller’s investigation, according to the report. Former federal prosecutor Renato Mariotti wrote on Friday that part of McGahn’s concern regarding meetings between Kushner and Trump could center around the fact that both men were witness to McGahn’s thought process surrounding Comey’s firing. The weekend before he fired Comey on May 9, Trump put together a draft letter laying out his reasons for dismissing the FBI director at his Bedminster golf club in New Jersey. Kushner, who reportedly argued strongly for Comey’s firing, was also at the club that weekend, as was top policy adviser Stephen Miller and Trump’s daughter, Ivanka. Cobb confirmed to Business Insider earlier this month that the letter is in Mueller’s possession. After the letter was drafted, McGahn reportedly advised Trump against sending it to Comey and gave Miller a marked-up copy of the letter, highlighting several sections that he believed could be problematic and needed to be struck. McGahn is one of the White House staffers Mueller is interested in interviewing, likely because of his involvement in the events leading up to Comey’s firing. It’s unclear what, if any, role Kushner had in crafting the letter. But if both he and Trump were witness to McGahn’s thought process around Comey’s firing, their statements to one another could be “fair game” for Mueller to dig into as part of his investigation, Mariotti wrote. If the president met frequently enough with Kushner, Mueller could probe into their conversations and find inconsistencies in their stories, he added. “McGahn is doing what any good defense attorney would do in these situations–create a protocol to ensure there is a ‘prover’ in the room for these conversations so that the third person could verify that issues relating to the investigation were never discussed,” Mariotti wrote. mikenova shared this story from trump authoritarianism – Google News. mikenova shared this story from trump anxiety – Google News. mikenova shared this story from Firstpost. Editor’s note: Black money is a topic that has elicited much debate in recent times. 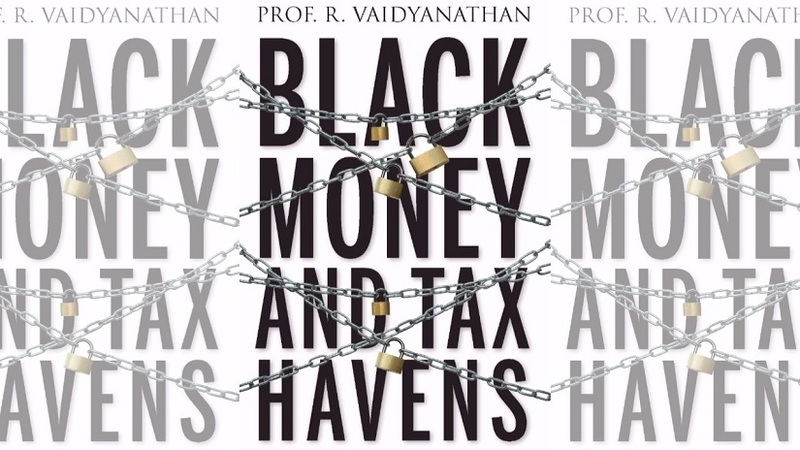 In his new book — Black Money and Tax Havens — Prof R Vaidyanathan provides an overview of black money — its generation, estimates and how and why it is spirited away to tax havens. The following is an excerpt from the chapter titled ‘Blood Money’. Reproduced here with permission from Westland Books. The life-blood of an effective terrorist network is financing and shell companies facilitate the easy distribution of money. The Islamic State, popularly referred to as ISIS makes $1 million to $2 million a day in oil production, it has obtained over $100 million in ransoms from kidnapping and collects ‘taxes’ from the 6 million people it has gained control over. Al-Qaeda’s worldwide operations require $30-50 million per year. The September 11 attacks, for example, cost approximately $500,000. But not every terrorist attack requires large sums of money. The London transit bombings cost a mere $15,000 and the Paris bombings cost about $10,000 or less. Regardless of the size of the operation, funding a terrorism enterprise is easily done under the cover of shell companies. In contrast, the United States has spent (as of 2014) over $1.6 trillion since September 11, 2001 on its major military operations abroad and $9 million a day just on fighting ISIS. If we want to fight terrorism effectively, we should also be cracking down on terrorism financing. Given the ease and persistence of terrorist financing — particularly using shell companies — a shift in attention on financial regulations that would stop terrorism financing would be a good start. Also the Panama Papers incident shows how easy it is to finance terror using US shell companies. With the ease of incorporation, some may decide to create companies to hide assets in for tax evasion or money laundering purposes. However, even more alarming is that terrorists can easily disguise their true identities from law enforcement through shell companies. A potential terrorist cannot take a flight to neighbouring states without a passport or driver’s licence, but they can form a shell company without any information in a matter of minutes. In a high-profile instance of this, for many years, Russian arms dealer Viktor Bout used shell corporations to anonymously supply terrorist groups around the globe with major weaponry like tanks and shoulder-file missiles. Laws against money laundering and terror financing are used around the world. In the United States, the Patriot Act was passed after the September 11 attacks, giving the government anti-money laundering powers to monitor financial institutions. The Patriot Act has generated a great deal of controversy in the United States since its enactment. The United States has also collaborated with the United Nations and other countries to create the Terrorist Finance Tracking Program. RAND Corporation has brought out a large body of literature and analysis on terror financing and its implications. In January 2015, the inaugural US-India Anti-Money Laundering/ Counterterrorism Finance (AML/CFT) dialogue was held. India is a member of the Financial Action Task Force (FATF) and two FATF-style regional bodies, the Eurasian Group on Combating Money Laundering and Financing of Terrorism and the Asia-Pacific Group on Money Laundering. India’s Financial Intelligence Unit (FIU-IND) is also a member of the Egmont Group (an informal international gathering of financial intelligence units formed in 1995). Indian officials monitor and regulate money transfers, require the collection of data for wire transfers, oblige non-profit organizations to file suspicious transaction reports, and regulate and monitor these entities to prevent misuse and terrorism financing. Although the Government of India has aligned its domestic AML/ CFT laws with international standards by enacting amendments to the Prevention of Money Laundering Act (PMLA) in November 2012, the government has yet to implement the legislation effectively, especially with regard to criminal convictions. Law enforcement agencies typically open criminal investigations reactively and seldom initiate proactive analysis and long-term investigations. While the Indian government has taken action against certain hawala financing activities, prosecutions have generally focused on non-financial businesses that conduct hawala transactions as a secondary activity. Additionally, the government has not taken adequate steps to ensure that all relevant industries are complying with AML/CFT regulations though the reporting of Suspicious Transaction Reports (STRs) relating specifically to terrorism financing has increased significantly. From July 2014 to April 2015, the FIU-IND received 76,149 STRs and disseminated 52,485 STRs to various intelligence and law enforcement authorities. The degree of training and expertise in financial investigations involving transnational crime or terrorism-affiliated groups varies widely among the federal, state and local levels and depends on the financial resources and individual policies of various jurisdictions. More than 300 personnel from various zonal and sub-zonal offices of India’s Enforcement Directorate have participated in training programmes on financial investigation, money laundering, foreign exchange contraventions, effective prosecutions, and cyber crimes as part of an effort to build capacity. US investigators have had limited success in coordinating the seizure of illicit proceeds with their Indian counterparts. While intelligence and investigative information supplied by US law enforcement authorities has led to numerous seizures of terrorism-related funds, a lack of follow-through on investigational leads has prevented a more comprehensive approach. The Government of India has also taken steps to increase financial inclusion through expanding access to the banking sector and issuing biometric-enabled universal identification numbers. Any expert on Indian stock markets knows that our markets are increasingly being moved by global flows — both inflows and outflows of funds. Secondly, such flows may be the ill-gotten wealth of Indians kept abroad in tax havens, or domestic funds sent out and brought back to facilitate some activities. This has to be seen in the context of concerns expressed by our then National Security Advisor MK Narayanan regarding the possibility of terror funds coming in through financial markets a few years ago. India has also taken steps to implement United Nations Security Council Resolution (UNSCR 2178) related to foreign terrorist fighters and to advance efforts on Politically Exposed Persons (PEP). It recalls its decision in resolution 1373 (2001) that Member States shall afford one another the greatest measure of assistance in connection with criminal investigations or proceedings relating to the financing or support of terrorist acts. 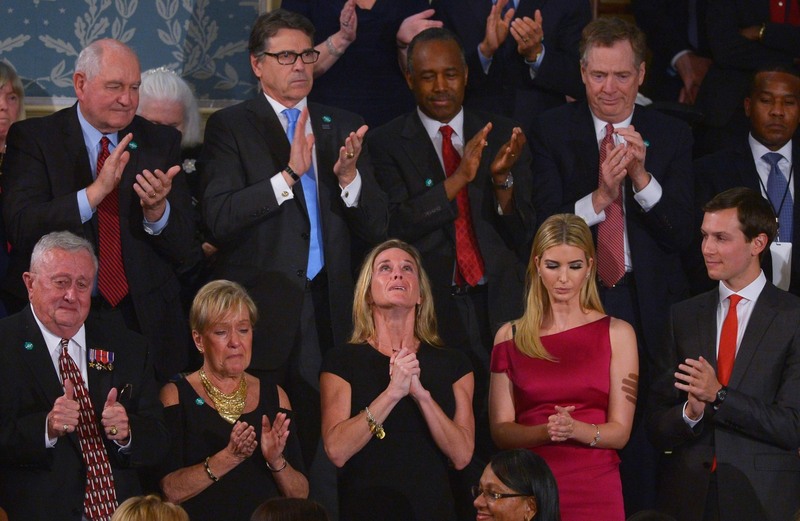 LAUDERDALE-BY-THE-SEA, FLORIDA — Surely the most memorable moment from President Trump’s first address to a joint session of Congress, and to the nation, came in his tribute to Ryan Owens, a fallen Navy SEAL. “Ryan died as he lived, a warrior and a hero, battling against terrorism and securing our nation,” the President said on Feb. 28. The SEAL’s tearful widow, Carryn Owens, sat in the place of honor above the chamber. 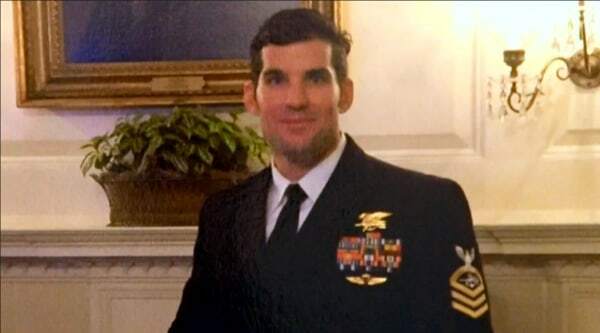 Chief Petty Officer Owens, a 36-year-old father of three, was indeed a warrior, experienced and combat-proven, the most elite of the elite, and a long-time member of SEAL Team 6. “Ryan’s legacy is etched into eternity,” President Trump continued, turning to look up at Ryan’s grieving widow. A gold star family member as guest of the White House. A presidential call out. The heartfelt applause and the raw emotions. The scene was a time-honored ritual, a public tribute to the price paid by a warrior and his family. What made it unusual, however, was how Ryan Owens died. His death came just days into the new administration, in a country virtually unknown to the American public, on a troubled mission approved and ordered by a team that had never worked together before, for a purpose that Owens’ own father, a former special operator himself, questions. 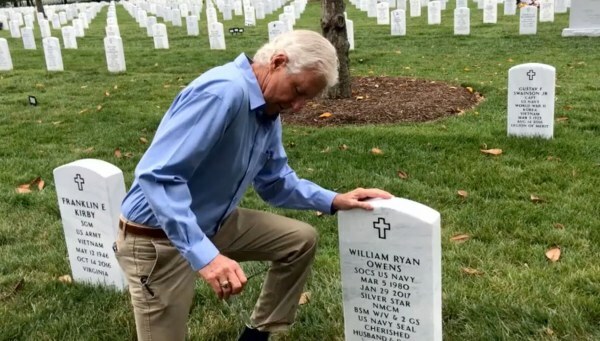 “It was a screw-up from the start that ended badly,” Bill Owens told NBC News in an exclusive broadcast interview. The retired police officer isn’t one to wear his emotions on his sleeve. He’s spent his entire life serving, in the Army as a green beret, in the Navy, and as a policeman in Florida, where he’s now retired. But Bill Owens has severe doubts that his son or anyone else should have been in the line of fire that January night. “Why did they do this mission at this time?” he asked. The father is distressed that the Trump administration has insisted the mission was an unbridled success. 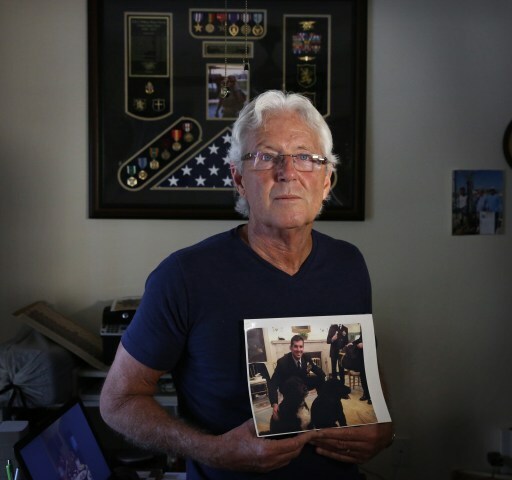 He is frustrated that the White House has asserted that anyone who questions the success of the mission is doing a disservice to the memory of his son. And he particularly resents the White House using his son’s death for political purposes. So what did happen? Over the past eight months, NBC News has spoken to more than two dozen officials and special operations insiders to piece together the facts of this Top Secret mission. Chief Petty Officer Owens was killed the night of Jan. 29 in a small village deep in the interior of southern Yemen, an ancient nation on the Arabian Peninsula, and one that has been in a state of civil war for two and a half years. 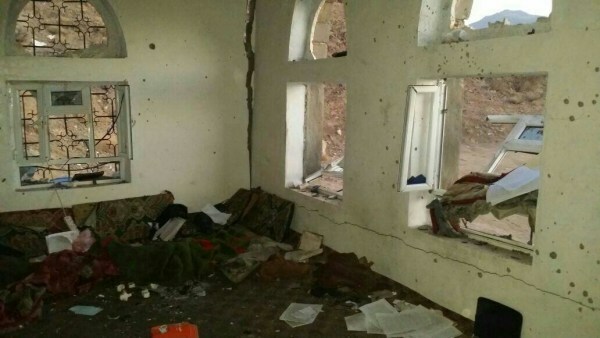 Yemen is also home to al Qaeda in the Arabian Peninsula (AQAP), the terror group’s strongest affiliate, which has acquired arms and money as the country has descended into chaos. In early 2016, U.S. intelligence grew increasingly alarmed by the gathering strength of AQAP, and the Obama administration began deliberating a new counterterrorism “campaign” to weaken it. The campaign included accelerated drone strikes and even manned airstrikes, as well as ground raids. SEAL Team 6 rotated elements into the region every six months, and was sequestered for the high-end kill-or-capture missions in places like Somalia and Uganda. The highly capable and in-demand “national mission force,” requiring Presidential approval to attack, had previously conducted a single stealthy raid inside Yemen, a failed hostage rescue mission in late 2014. In 2016, U.S. special operations forces also worked alongside forces of the United Arab Emirates and Yemen to retake control of coastal communities that had fallen under the control of AQAP. In late 2016, as the Obama administration deliberated next steps in the country a new campaign plan was created. But it deferred a final decision, and as is customary in any handoff from one administration to another, President Trump was accorded the privilege of approving any new operations and commitments. One day after being sworn in, Secretary of Defense James Mattis was briefed on Yemen. While Washington was in transition, forces in the region continued planning. A Special Operations Task Force overseeing SEAL Team 6 prepared a series of raids on AQAP strongholds and leaders, even rehearsing operations in the nearby country of Djibouti, on the Horn of Africa. A specific raid was proposed. A small and isolated village where AQAP had congregated had been identified. U.S. intelligence, working with the UAE, concluded that important activity was taking place there. According to two officials in the Trump White House, the Special Forces of the UAE and the United States had increasingly been working together, and a coordinated raid on the village of Yaklawas proposed. Officially, the mission was labeled a sensitive site exploitation (SSE), a raid to capture electronics and documents that would reveal AQAP membership and concentrations. The plan was to then exploit that material and stage rapid follow-on strikes, according to multiple military and special operations experts. Unofficially, and highly secret, even from many inside the Pentagon, was the far more sensitive kill-or-capture mission to go after AQAP leaders. Under the Obama administration, no explicit capture mission had ever been approved, the sources say. And, according to multiple special operations sources, it was highly secret that the national mission force would work hand-in-hand with a foreign counterpart, even in support of UAE objectives as opposed to American unilateral “high value target” kill missions. In addition, Yemen was what the national security community called “outside of a declared theater of war,” where the legality and implications of operations were far more sensitive. Secretary Mattis supported the mission as presented to him, and the new Trump national security team met for the first time on the night of Jan. 25 to consider it. 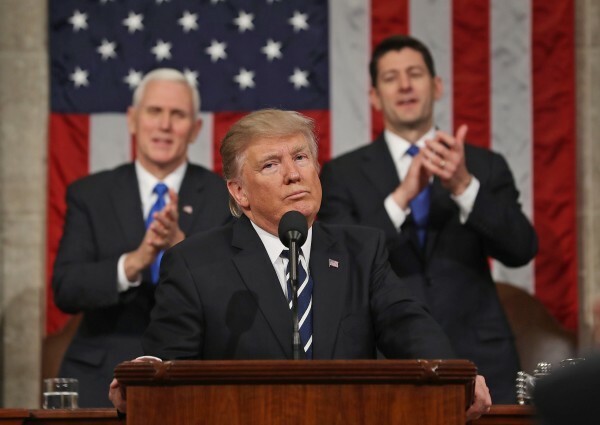 Present were the president, Vice President Pence, Mattis, then-National Security Advisor Michael Flynn, Chairman of the Joint Chiefs of Staff Gen. Joseph Dunford, CIA Director nominee Mike Pompeo, chief strategist to the President Steve Bannon, and presidential son-in-law Jared Kushner. Absent was any representative of the State Department, a departure from common practice in past administrations of both parties. Over dinner, they discussed an upcoming raid to occur that very weekend. Naylor is one of the country’s leading experts on the Joint Special Operations Command (JSOC), the national mission force made up of SEAL Team 6 and the Army’s Delta Force as well as other highly-prized counterterrorism elements. Under the Obama administration, sources say, a mission of this sort would have been discussed and approved at multiple levels subordinate to the principals before being briefed inside the secure White House Situation Room. Two White House sources tell NBC News that Mattis and Dunford walked the new president through the mission objectives in the dining room, offering unreserved endorsement. 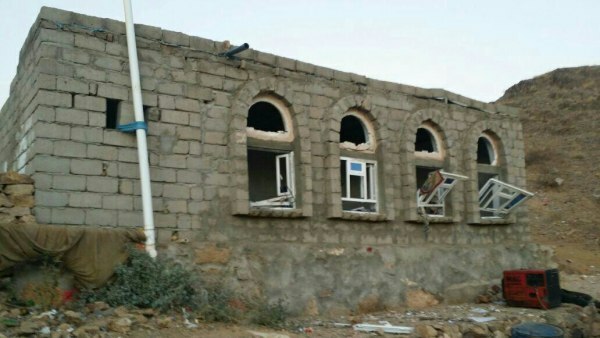 If AQAP leaders were present, there was a chance for a big win; if not, the presence of leadership in the past and the potential intelligence take on the ground promised at least a fruitful site exploitation that would lead off a series of follow-on raids. According to the two sources, both Steve Bannon and Jared Kushner questioned acting on what they saw as a leftover Obama plan. President Trump was disposed to approve the mission, but the next morning, he asked Flynn what he thought before he signed the so-called execute order or EXORD. According to two White House officials, Flynn told the President that a tip from the UAE indicated that one of the most wanted terrorists in the world, Qasim al-Rimi, the leader of AQAP, might be at the Yemen target. He had been sighted there previously. It wasn’t unusual for Mr. Trump to rely on Flynn for advice. The President had gotten to know his national security advisor over months of close quarters on the campaign trail. And he was uniquely qualified to offer judgment. Flynn had himself served as director of intelligence for the JSOC. He had reached out to his former colleagues at Ft. Bragg in North Carolina to gather his own intelligence on the upcoming mission both before and after Trump’s inauguration, sources say. And, according to multiple sources, he had himself spoken to his UAE counterparts. On Jan. 26, the day after the mission was greenlighted at the dinner, Ryan Owens’ team of Navy SEALs, staged from Djibouti to the ships of the USS Makin Island amphibious readiness group operating off the coast. Onboard the ships were a 2,200 strong Marine Corps battalion task force as well as fighter aircraft and attack helicopters that would serve as a Quick Reaction Force should something go wrong. The SEALs and the Marines had been practicing together since December for a possible boots on-the-ground Yemen raid. Also present, according to multiple sources, were commandos and intelligence specialists of the UAE. Just after midnight on Jan. 29, the force swooped into the village. SEAL Team 6 landed five miles downhill from the objective. The SEALs would hike to the village in silence, and surprise the AQAP element there. But as the SEALs neared the outskirts, there was trouble. Overhead drones and spy planes detected unusual activity indicating the mission might have been compromised. “Overhead surveillance of the target revealed individuals moving to fighting positions,” Naylor said. The Special Operations Task Force headquarters in Djibouti and the command element still on board the Makin Island ships knew simultaneously that the element of surprise was lost. We may never know what the discussion was, nor who ultimately made the decision, but commanders discussed the risk versus the payoff and decided to proceed. Entering the village, the SEALs met fierce and unexpected resistance. Land mines and defensive positions were prepared. Even women took up arms. 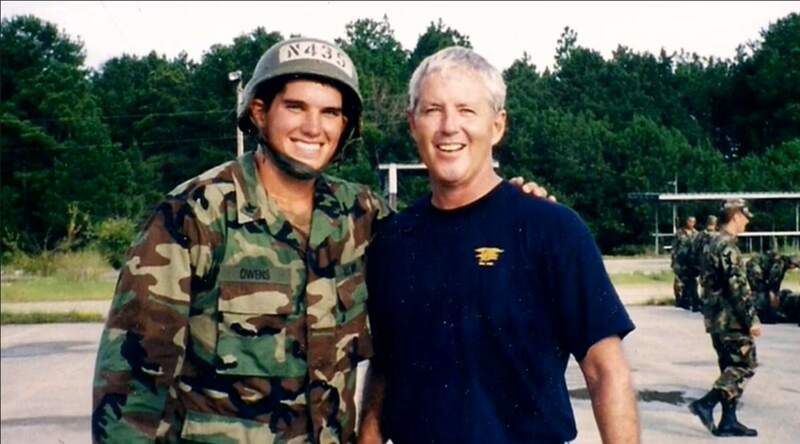 Within the first five minutes of the firefight, Ryan Owens was mortally wounded, hit with a bullet just above his armored breast plate. A MEDEVAC element was immediately requested on the radio. In the next few minutes, at least two other SEALs were wounded. 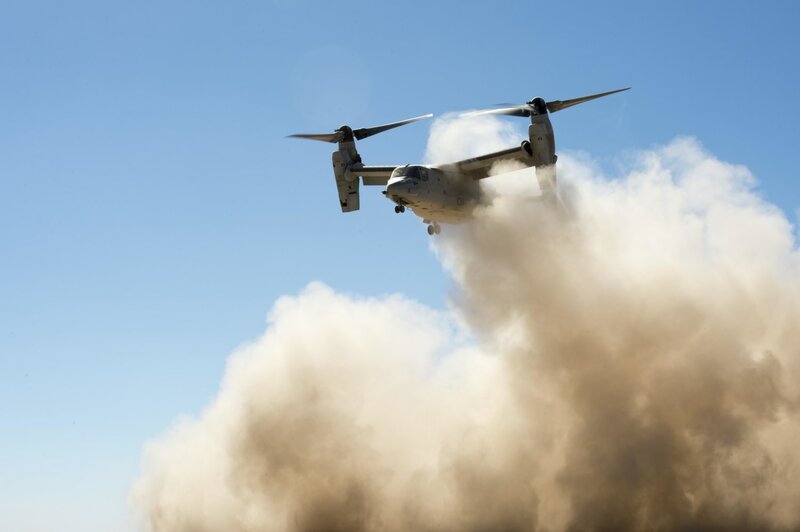 Two Marine Corps CV-22 Osprey tilt rotor vertical take-off and landing aircraft were dispatched for the 15-minute flight from the Gulf of Aden. Additional Marine Corps AV-8B Harrier jump jets and attack helicopters followed to take on the AQAP force. But then disaster struck again. One of the two Ospreys crashed on landing in Yemen. The Pentagon would later call it a “hard landing,” but the crash was serious enough that one of Harrier fighter jets bombed the crash site to destroy the plane to avoid any sensitive equipment falling into al Qaeda hands. On the ground, the SEALs continued to battle. Though 14 AQAP fighters were killed, including what the U.S. claims were two leaders, al-Rimi was not at the target. In addition to Owens’ death and multiple American injuries, the unraveling of the mission also resulted in the death of at least 16 civilians, according to U.S. intelligence sources. Ten of those civilians were children under the age of 13, NBC News has determined from official documents verified by U.S. intelligence. Within 50 minutes it was over. Ryan Owens was dead. At least five additional American servicemen were injured. The site exploitation was also compromised. Sources say because of the injuries, the destruction and the quick exit, the SEALs did not have enough time to collect documents and electronics. Though he says he had no direct operational role, Furness says he closely monitored the mission that night. Was the mission crucial? How was it compromised? What was the value of the intelligence gathered at the site? Sources differ, and Gen. Furness demurred in talking about specifics. It’s clear though,that whatever happened in Yemen might have been chalked up to the tragedy and fog of war had it not been for what happened in Washington afterward.. Within hours of the Yemen mission, White House spokesman Sean Spicer was at the podium declaring the raid a great success. “This weekend we carried out a very successful raid against al Qaeda in the Arabian Peninsula,” Spicer said the morning of Jan. 30. He doubled down the next day. “Obviously, we recovered a tremendous amount of information,” said Spicer on Jan. 31. And then Sen. John McCain, chairman of the Armed Services Committee, was briefed on the mission He went public to challenge the administration’s characterization. “When you lose a $75 million airplane and, more importantly, an American … life is lost and [there are] wounded I don’t believe that you can call it a success,” the Arizona Republican told NBC News. The White House shot back. “I think anybody who, who undermines the success of that raid …owes an apology and a disservice to the life of Chief Owens,” Spicer offered. Watching at home in Florida, Bill Owens grew disgusted. Little official information was forthcoming on the mission or Ryan’s death. The next morning, President Trump appeared on Fox and Friends, offering an odd description for a mission that he as commander-in-chief had approved. “Well this was a mission that was started before I got here. This was something that was, you know, just, they wanted to do,” Trump said. “They explained what they wanted to do, the generals, who are very respected. My generals are the most respected that we’ve had in many decades, I would, I believe,” he added. On March 9, a little over a week after the President spoke about the Yemen raid on Fox and Friends and before Congress , the U.S. military commander for the entire Middle East testified at a meeting of the Senate Armed Services Committee. Army Gen. Joseph Votel took responsibility for the Yemen raid, and spoke bluntly. But Votel also maintained, like the Pentagon and the administration, that valuable intelligence was gathered. Taylor believes the Yemen raid provides the nation an opportunity to look at a critical issue. “What the American people need to know and need to be engaged in is a debate on how we’re using [our] forces” in the war on terror. “I believe that there’s been sort of an over-use of Special Forces in the past decade,” Taylor said. Two of the most important questions that came from NBC News’ multi-month investigation are: Why was Ryan Owens’ mission launched nine days after President Trump took office, and what did the mission achieve in terms of weakening al Qaeda? Bill Owens merely wants straight answers. The assurances he’s gotten from Washington — that the SEALs gathered intelligence that will save American lives in the future — don’t put his mind at peace. This writer served Trump some ice cold tea. Brennan released a statement addressing freedom of expression and Trump’s response to Puerto Rico in one fell swoop. It’s never appropriate to accuse others of having mental or psychological problems simply because you disagree with them or you don’t like them. But what happens when someone is displaying so many alarming signs of a psychological meltdown, even a non-doctor can spot it from a mile away? That was the case with Donald Trump’s behavior during a twelve hour period on Saturday, which can only be described as some kind of psychotic break. 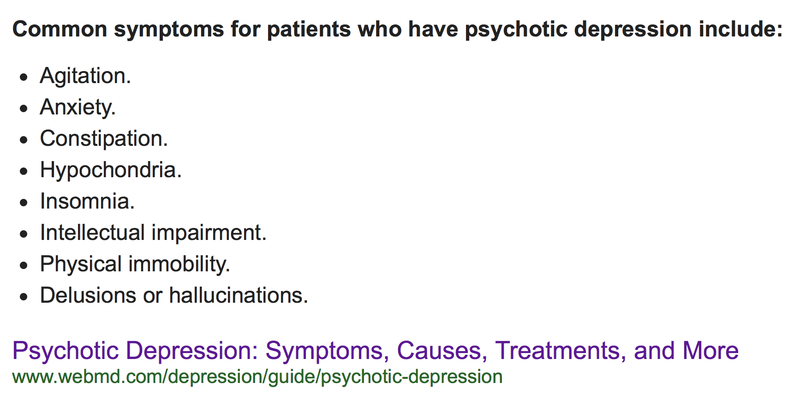 Let’s take a look at how these symptoms match up with Trump’s various tweets on Saturday. Agitation? He started off the day by attacking the Mayor of San Juan, even as her city is drowning. Anxiety? He’s clearly worried about, well, everything. Intellectual impairment? At one point on Saturday, he began ranting that the candidate he endorsed in Alabama went up in the polls after the election. That doesn’t even make sense. Delusions and hallucinations? Trump appears to have come to honestly believe that his administration has mounted some massive relief effort in Puerto Rico that largely doesn’t exist even though he can see on television that it doesn’t exist. So now we have a guy in the White House who, in addition to being a complete piece of filth and a traitor who answers to a foreign government, has no ability to distinguish between reality and hallucination. This is why Article Four of the 25th Amendment was created. 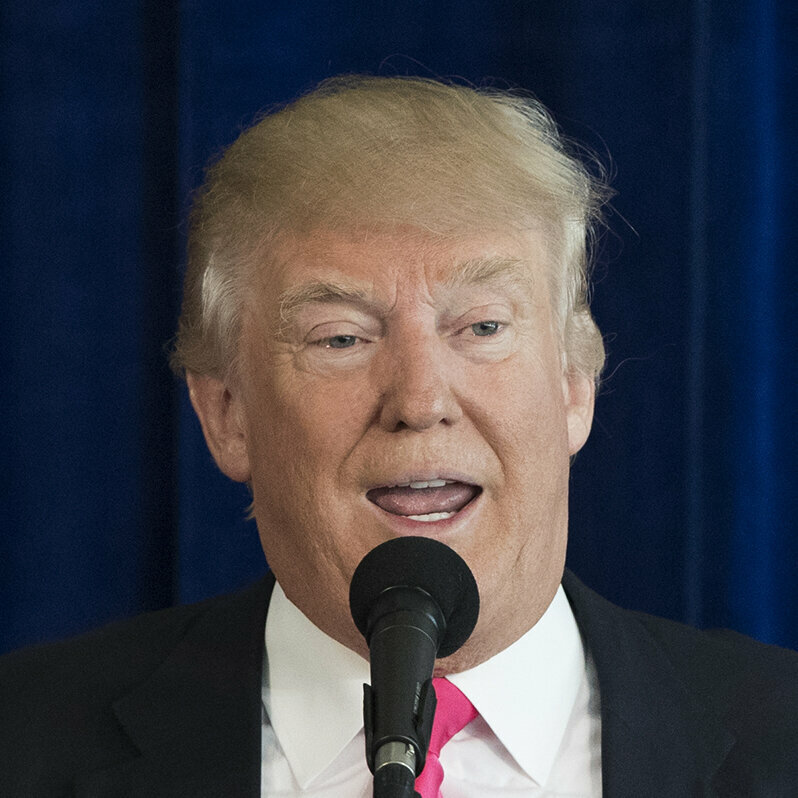 The post Donald Trump’s psychotic break appeared first on Palmer Report. It’s begun. Special Counsel Robert Mueller was always going to go full throttle against Donald Trump’s White House senior staff in order to get them to flip on Trump by any legal means necessary. Several of them have lawyered up, out of fear they might end up facing obstruction of justice charges or worse. Now that process is officially underway. Mueller began “interviewing” Trump’s White House senior staffers on Friday, starting as expected near the bottom of the food chain with National Security Council chief of staff Keith Kellogg, according a report from The Hill (link). This comes a few days after CNN reported that Mueller was about to get underway (< href=”http://www.cnn.com/2017/09/26/politics/white-house-special-counsel-robert-mueller/index.html?sr=twCNN092617white-house-special-counsel-robert-mueller0254PMVODtop” target=”_blank”>link). From here he’ll quickly work his way up that food chain, with the goal of getting the people on the lower rungs to flip on the upper rungs, thus forcing the upper rungs to flip on Trump directly. There are scattered reports that Trump’s senior staffers have become paranoid toward each other, and are going so far as to accuse each other of wearing a wire while on the job. That kind of paranoia plays directly into Mueller’s hands. The more these staffers believe their colleagues may have already cut deals, the more likely they are to hurry up and try to cut a deal themselves, because there will only be a certain number of good deals to go around. By the way, the word “interviewing” is in quotation marks above because the process is anything but a traditional interview. Donald Trump’s staffers will be grilled on every detail of every relevant conversation they’ve ever had with Trump. If they lie, it’s a crime. If they refuse to cooperate, it’s a crime. If they participated in a coverup, they’re guilty of conspiracy to obstruct justice. If they witnessed a felony and failed to report it, they’re guilty of misprision of a felony. One way or another, they’ll all end up guilty of something. Who will flip on Trump first? The post Robert Mueller begins dropping the hammer on Donald Trump’s White House senior staffappeared first on Palmer Report. <a href=”http://Haaretz.com” rel=”nofollow”>Haaretz.com</a>, the online edition of Haaretz Newspaper in Israel, and analysis from Israel and the Middle East. <a href=”http://Haaretz.com” rel=”nofollow”>Haaretz.com</a> provides extensive and in-depth coverage of Israel, the Jewish World and the Middle East, including defense, diplomacy, the Arab-Israeli conflict, the peace process, Israeli politics, Jerusalem affairs, international relations, Iran, Iraq, Syria, Lebanon, the Palestinian Authority, the West Bank and the Gaza Strip, the Israeli business world and Jewish life in Israel and the Diaspora. … trapped in a wilderness of mirrors inside British intelligence which was reeling from the betrayal of Kim Philby who fled to Moscow in 1963.